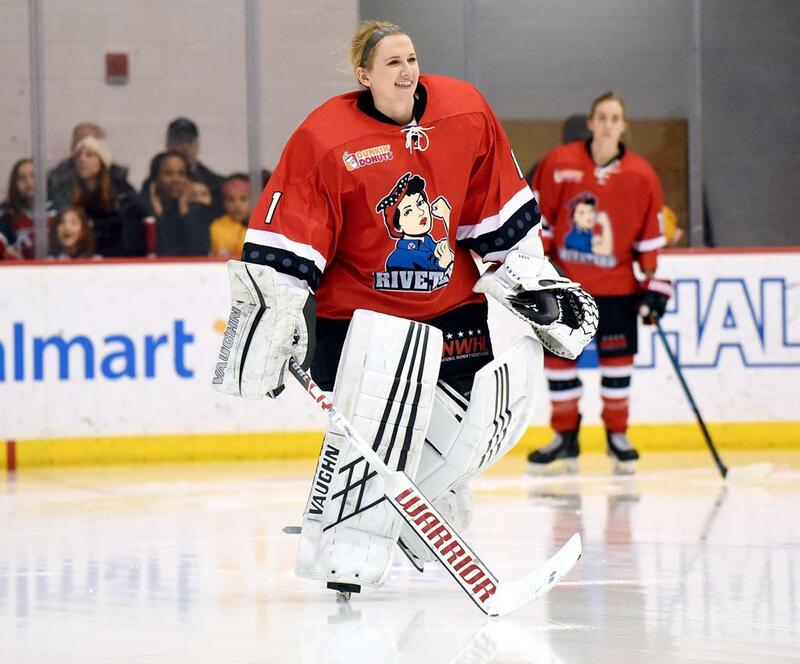 But you can bet that she’ll be ready if called upon again to tend goal this season. When the game was on the line in the tie-breaking shootout, Sass came up aces, stopping the Whale shooters one after the other. Some doubters may have thought this is where she’d falter finally, one-on-one against some of the opposition’s most dangerous players. Not so fast, my friends. 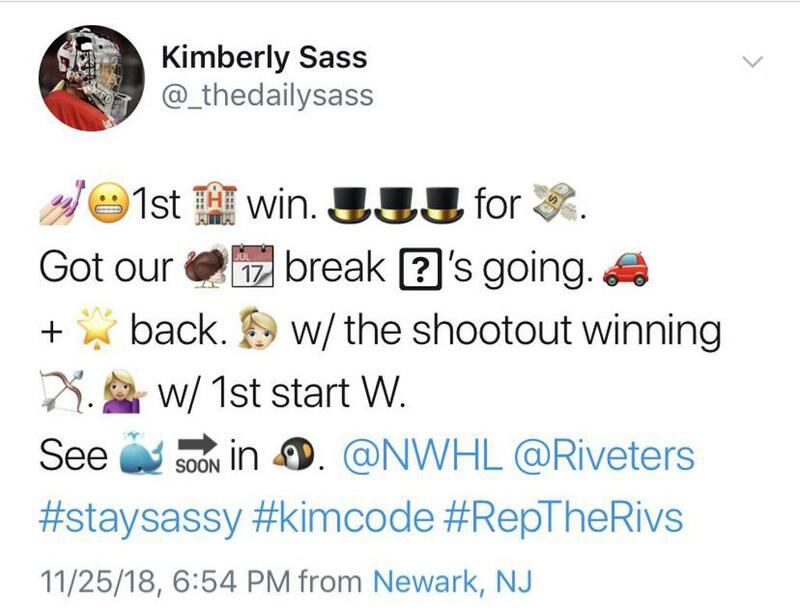 Finally, after the win that was a long time coming for the Riveters goalie, she got to post a new #KimCode on Twitter. 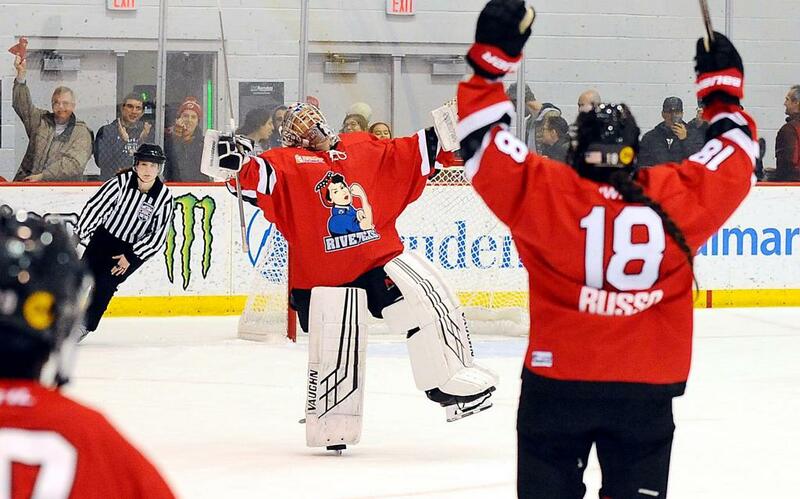 How excited was she to post an emoji-filled tweet celebrating her team’s come-from-behind win?